Supercharge your marketing plan with these tips from Z57 Academy. When you start building a real estate marketing plan— it’s important to start out by identifying several key elements. ■ Who is your target audience? Be specific so you can tailor your marketing materials to appeal to and meet the needs of your prospects. ■ What is the goal of your marketing? By determining the course of action you want your target audience to take, you can also identify your marketing objectives and design marketing materials with that specific result in mind. We recommend using materials always focused on driving traffic back to your website. ■ Who are your competitors and how do they reach out to your audience? When you know who your competitors are and what they’re doing for marketing, you can compare your strategies and identify ways to get a competitive edge – whether it’s branching into a new marketing space, learning up-to-date techniques that appeal to today’s consumer or tailoring your existing strategies to meet current demands. Start by making a list of tactics you believe you should you add to your repertoire by identifying opportunities that are being missed by your competitors. Understanding your competition and identifying what you may be missing with your existing marketing is a great first step in formulating a solid marketing campaign. ■ What are your core strengths, and how do those make you stand out your competitors? Focus on what you do best. Are you well-versed in short sales? Do you have a keen eye for design and use that for professional staging for sellers? Knowing your strengths and marketing them to generate results gives you another great angle in recruiting prospects. ■ How can you brand your business to make it stand out in a crowded market? Let us help with this one - you must stay up to date with marketing trends. With a rapidly changing consumer environment, it can be easy to fall behind but knowing where your consumers are and how to reach them is the major key in building a successful marketing platform. 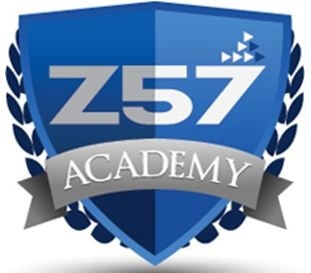 If you haven’t already become a Z57 Academy student and learned proven strategies on how to do just that – there is no time better than the present! To sum it up - know your audience and understand your competition, identify and focus on a corporate identity and stay current with marketing trends and you will be set up for success. Z57 Academy offers revolutionary one-on-one marketing training for real estate professionals and has been proven to generate amazing results. In addition to gaining access to Z57 Academy, we provide social media solutions, a lead capture website and training on how to use all of your tools to generate results unlike anything you’ve ever seen before. With any Z57 program, you also receive unlimited support – personal marketing consultants are here to help anytime you have questions or need advice. Contact us today to view a live demo and learn what we can do to make you and your business wildly successful!